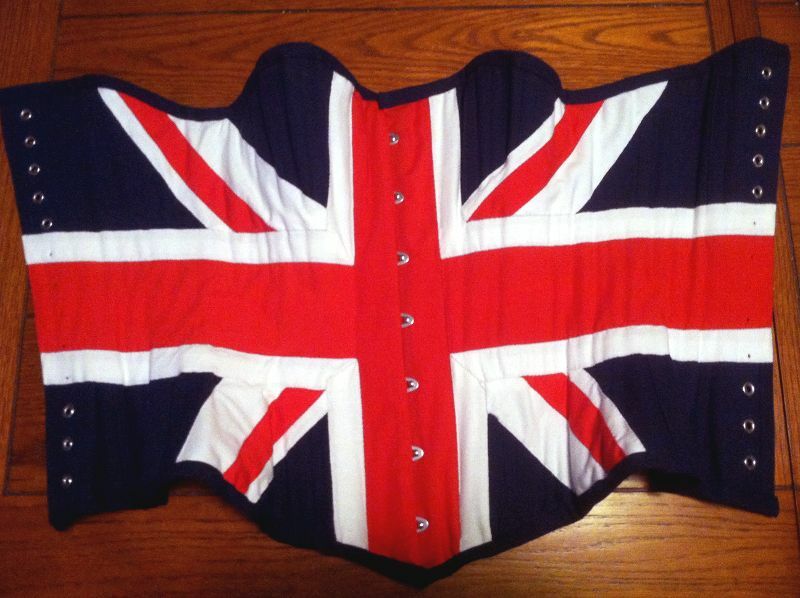 This is a corset I made for my wife for the Steampunk Asylum in Lincoln, UK. It's interlined with linen canvas, lined with white linen, and faced with blue canvas duck. The design is felled by hand on top of the duck. It has 28 flat steel bones, and the rivets are supported by a layer of buckram (in addition to the three sturdy layers of fabric).